How To Get Direct Referrals? Direct Referrals are those members which sign up under you on a PTC Site. 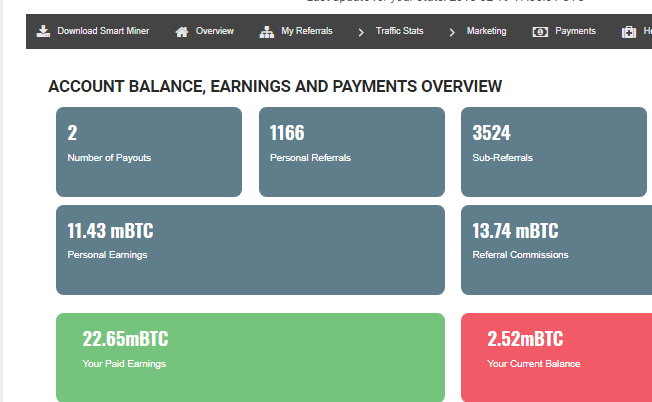 They earn you commission lifetime whenever they click, make purchases, add funds or Refer others! WITHOUT DIRECT REFERRALS YOU CANT BE SUCCESSFUL! When I first came across a PTC I just joined it and clicked as much ads as much I can. But that was the BIGGEST MISTAKE I EVER MADE IN PTCs and BTC Sites. As I clicked ad and spent little money to get referrals all of the money and effort gone in vain! As I joined the new sites and Clicked on them, Many of those sites Gone Scam and Many of them Closed too. I hope you dont do the same mistake that I did. I went WAY over my internet usage and I had to pay a lot of money (visiting a lot of websites). Receive A TOP PTC Sites PAGE From ME and Start to get Direct Referrals Like A Pro! I know what Works and what does not! I have been a promoter in PTCs and I know this would lower your expenditure and you can earn much more from promoting this page!! Optimalbux - All in just 10 days after launch! Computta - 1100+ refs in 2 months! I understand very well you are tired of improfitable advertising and want that profitable results. But Anything cant happen without YOU TAKING ACTION! With your own splash page you can recruit 10x more refs and ofcourse earn 10x more. All this for just a one time fee! Along with free lifetime hosting and perks for you! Plus I will guide you where to spend your money on to get The Best Referrals to earn much much more than what you are earning right now. You will receive FREE LIFETIME HOSTING for your page! You will be able to edit your page anytime! No need for waiting for me to update it! You will be given a Admin panel where you can edit banners, add new sites on your pages which only you can access! You will be able to get much more better results than ever before! All this For a Super Low price of 14.99$ Only! One time fee. YOU CAN'T LOSE WITH THIS PAGE! Feel free to contact us after payment for faster processing of your page!